Question. What are the minimum sales requirements? Answer. You only need to submit $300 in sales per quarter. Sales quotas include your own purchases and/or customer orders. Also, you can submit your sales in any increment that you wish and still receive your minimum 20% and commissions. Question. What if I want to do this as a hobby or for the discount and not necessarily as a business? Answer. Stampin' Up! welcomes and supports all demonstrators, ( hobby demonstrators, business demonstrators and everyone in between). If you choose not hold workshops or sell product, you can simply place your own orders and/or collect orders from family and friends to equal the quarterly sales minimum. If you do choose to build a business, build it your way! Anything that connects you with friends will do: a few friends at a coffee shop, a weekend workshop, creating and utilizing online resources, reaching out on social media or anything else you can dream up. Question. Can I be my own hostess? Answer. Absolutely, yes! You can be your own hostess anytime you want. Anytime an order is over $150, you receive hostess benefits. In addition, receive Instant Income on all your orders with the potential for additional income based on Sales Volume. Question. How much does it cost to get started as a demonstrator? Answer. The Stampin' Up! Starter Kit is just $99 and is fully customizable. 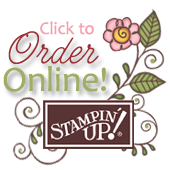 You choose up to $125 worth of any current Stampin' Up! Products, plus you will also receive a Business Supplies pack (valued at least $35). Question. What if I decide that I don't want to continue as a Stampin' Up! Demonstrator? Will I be penalized if I quit? Answer. You may choose to stop at anytime, and you will not be penalized. You simply stop placing orders as a demonstrator. Question. How can I make money as a demonstrator? Answer. You can earn money in 3 ways: Instant or Deferred Income (20-25% of each order). Plus the potential for monthly Volume Rebates (4-13% of sales volume) and monthly team commissions (1-6.5% of Sales). Question. Is it necessary to recruit other demonstrators? Answer. Short answer, no! If you do recruit, you will be paid team commissions and likely develop lasting friendships. But this is a perk, not a requirement. Question. What kind of training can I expect? Answer. Stampin' Up! provides dozens of training resources filled with project ideas and tips to help you run your business. Not to mention, the fabulous quarterly publication called Stampin' Success, Demonstrator Support Agents, a Demonstrator -Only Website, Weekly Training Emails, Seasonal and Annual Catalogs. Plus, when you Join My Team you can join swaps, have your projects featured on my Stamping Country Blog. I'm also available to answer any questions that you have and to offer you support. You'll also be eligible for achievement gifts and prizes from me. Question. Is Stampin' Up! a well-known and respected company? Answer. Since 1988, Stampin' Up! has been selling stamps and paper crafting supplies. In that time, not only has Stampin' Up! won industry awards and accolades, but they also earned the loyalty and admiration of demonstrators and customers alike. And that is a trend that Stampin' Up! works hard to maintain. Do you still have questions or would you simply like to chat? Contact me (419-560-5014 or robin@stampingcountry.com) and we will set aside a time to chat. And start Saving on All Your Stampin' Up! Purchases!